Opportunities exist for any facility to increase energy efficiency and potentially qualify for Utility Incentives. 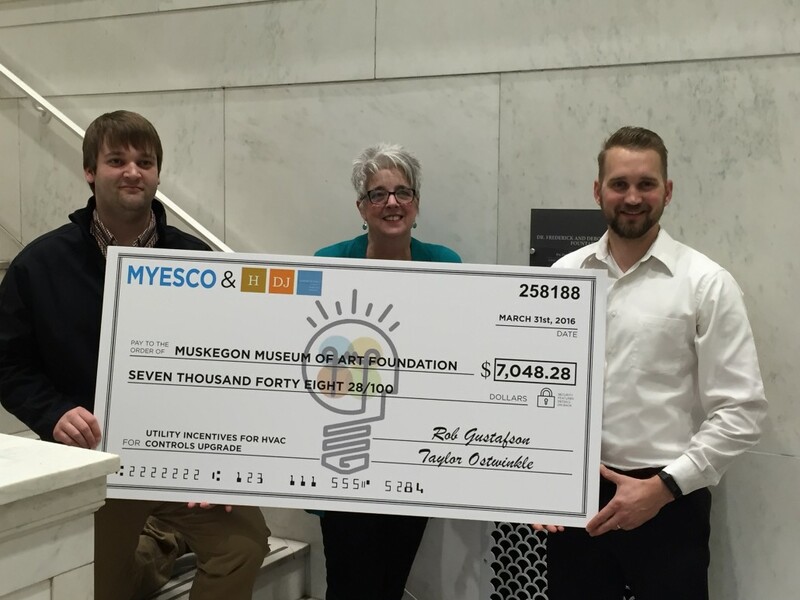 MYESCO (a registered CE Trade Ally) recently partnered with an Architectural and Engineering team to make needed enhancements to the Muskegon Museum of Art. The Museum offers a wide range of traditional and contemporary exhibitions. To learn more about them click here. The upgrades to their HVAC system qualified the Museum for the Consumers Energy Incentive Program. This resulted in the Museum earning a $7,048 check from Consumers Energy to help with future energy savings strategies! If you plan to make facility upgrades, contact us to provide a free estimate on what kind of Utility Incentives you may qualify for. Are you currently deciding between different projects? Our energy engineers can help you decide where to invest your money to maximize your return! See if YOU qualify for Incentives!